Temptation is a part of our lives. Even Jesus wrestled with temptation. Our faith tells us that we are meant to live our lives in service of God’s kingdom. Yet, we often find ourselves pursuing our own desires rather than God’s. The Gospel clearly tells us that true power is found in the embrace of virtue—living lives of non-violence, mercy, and forgiveness. Yet, we still are not convinced and seek things that will hurt us and retaliate against those who harm us. When Jesus faced temptation, he found security in who he was, which firmly rooted him in his mission and gave him the determination to trust in God. We, too, must learn to find security in our identity as a son or daughter of God, to live out our mission rooted in that truth, and to be confident in God’s abiding presence. This collection will be taken up this weekend. Originally mandated by the III Plenary Council in 1884, the 125-year-old national collection continues as the embodiment of the Church’s concern for evangelizing the Black, Native American, and Hispanic people of the United States. 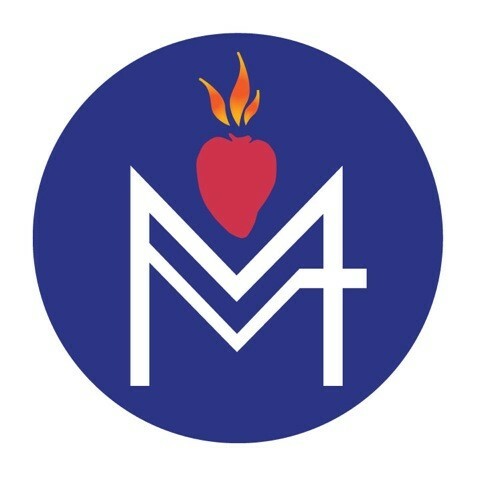 The funds are distributed as grants to dioceses throughout the United States, supporting and strengthening evangelization programs which otherwise would cease. Through Catholic Relief Services (CRS), our parish provides Rice Bowl boxes for people to use during Lent. Pick up your family’s CRS Rice Bowl at the back of your church and, throughout Lent, add in your pocket change or other money. This is an easy way we can all give to those in need around the world and 25% of what we collect will stay in our local community. During the forty days of Lent, as companions on the journey, we will encounter our neighbor. As the liturgical year moves closer to Ash Wednesday and ultimately the Tridium, there will be a group Tridium practice at 6:30 p.m. at St. Francis on March 14. The Tuesday morning group has commenced at 10:00 a.m. at Holy Cross. This also provides an alternative practice time for any choir member who prefers not to be out at night. At St. James, feel free to stay and practice after Sunday Mass. This weekend is our chance to donate food or money to the Trumansburg pantry. Just leave your donations on the table in front of the Mary statue at St. James. Also, we still need a couple more volunteers to help out at the Trumansburg Food Pantry, located in the Trumansburg United Methodist church. The food pantry counts on our parish to provide to people to help out during March and April. Please sign up on the lists provided in the St. James foyer. Thank you! There will be Stations of the Cross on Thursdays of Lent beginning at 6:00 p.m. at Holy Cross church followed by a communal soup supper. On Fridays of Lent, at 3:30 p.m. at St. James, the Stations will be followed by Benediction of the Blessed Sacrament and the opportunity to participate in the Sacrament of Reconciliation. St. James the Apostle is in need of additional volunteers to serve as ministers of hospitality/ ushers. It currently has two two-person teams and one substitute. It would be best to increase the ministry by at least four additional people. That would give the church four two-person teams and would allow each team to usher just once a month. We currently do not have any women involved in this ministry and would welcome their involvement. You do have to be 18 years old or older (men or women) to be an usher. If anyone is interested, please contact Ron Singer at 607-387-6577 or at singer.consulting@snet.net or Father Bernard Maloney at Fr.Bernard.Maloney@dor.org.